Games are one of the most engaging ways of interacting with fans. That also applies to Facebook Camera Effects and Snapchat Lenses. AR Games allows you to use touch, facial expressions and motion to compete for high scores with others. Thanks to AR Studio and Lens Studio many games have emerged in recent months and we decided to show you some of the top-notch activations created so far. Play the Catch ‘Em All game with Huawei. Move your head to control the little robot and catch Kirin 970 systems, which are implemented in the new Huawei Mate 10! Become an astronaut fighting for your live! Move your face left and right to shoot down as many asteroids as you can within 30 seconds. “We’re gonna use a pointing device that we’re all born with…”; head moves and facial expressions are game controllers now! Eat up, keep control, smile and play on. Head bouncing made easy, sort of. Use your head as game controller to dodge the ball and be careful not to drop it. Challenge your friends with your highest score. 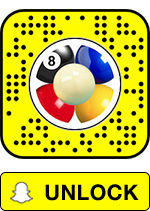 A game of pool without cues, a table with pockets and balls? You can now try your skills in augmented reality on Snapchat! We hope you enjoyed presented examples! 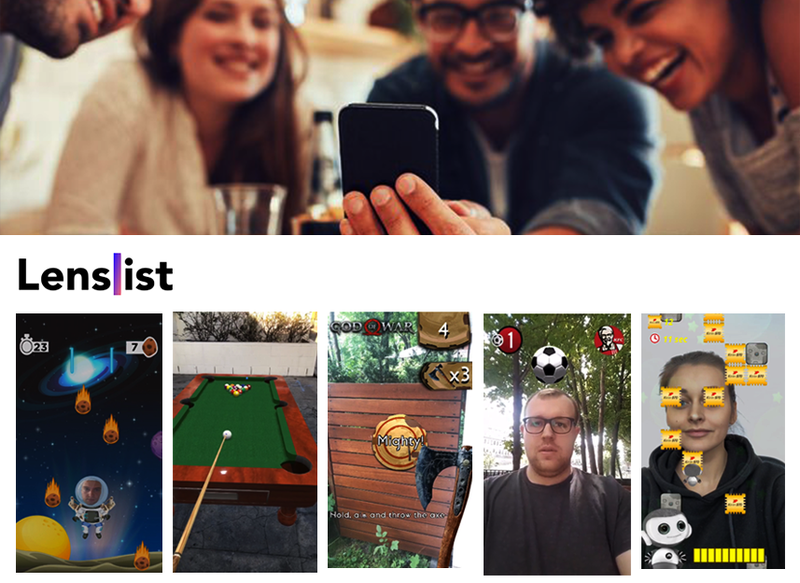 If you are looking for more games created with either AR Studio or Lens Studio go straight to Lenslist and type “game” into the search engine!